The high risk factor involved in manned space missions forced scientists to develop alternative strategies for space exploration, and this led to the advancements in robotic space missions. The superior ability of robots to venture into practically inaccessible regions in space increased their popularity as the modern tool of space science. Different types of robots, like humanoid robots, fliers, rovers and the robot arm are increasingly used in different space missions. NASA’s Robotic Arm Information: Where and How? 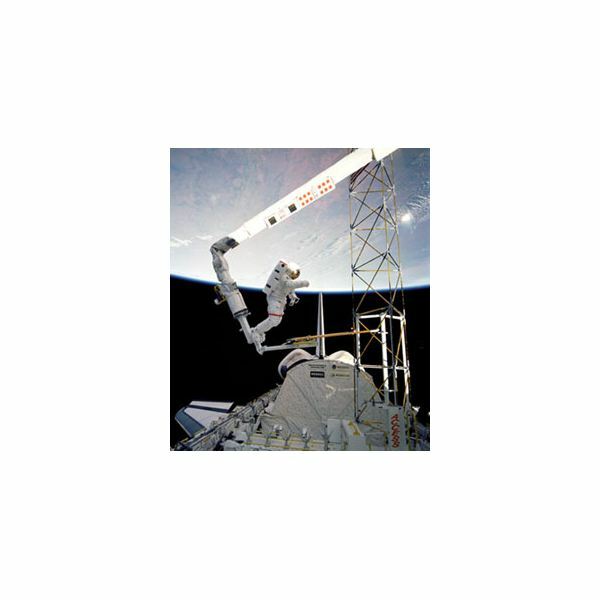 The Canadian robotic arm, named Canadarm, is the pioneer in NASA robotic arm use. Launched on November 12, 1981 aboard the Space Shuttle Columbia, it made history as the first robotic arm in space and since then made valuable contributions in the success of many space missions. The first shuttle mission of Discovery met with an unexpected problem, ice deposits on the bottom vent of the shuttle needed to be removed before reentry. The problem was was rectified using the Canadarm. Until then scientist hadn’t paid enough attention to use the full potential of this giant arm. Canadarm has helped in retrieving and fixing the problems in satellites, in repairing the Hubble Space Telescope, and now, together with Canadarm 2 on the International Space Station, it is helping in the construction of the station. These two robotic arms are capable of moving huge objects. The ultra sensitive laser measurement device fitted in this robotic arm is capable of detecting very small fractures in the shuttle’s surface thereby avoiding the future disasters in shuttle missions. 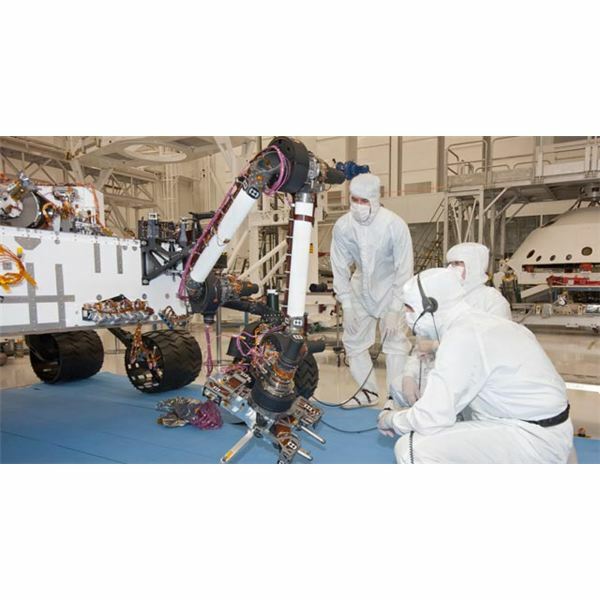 NASA robotic arm use is most advanced in the Mars missions. The early Viking Lander Missions used robotic arms with limited flexibility to explore the Martian surface. The Mars Polar Lander (January 3, 1999) was to use a robotic arm for collecting water ice from the south pole of Mars but it was lost on landing. NASA used robotic arms in Mars Exploration Rover missions like Spirit and its companion Opportunity to closely study the rocks on the Martian surface. 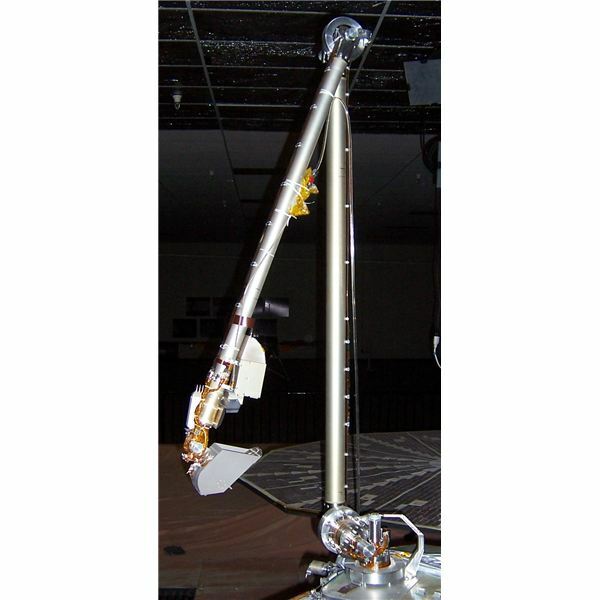 NASA’s Phoenix Mars Lander, which was launched on August 4, 2007 used robotic arm for collecting Mars surface materials. This multipurpose 2.5 meter long robotic arm could perform four different types of movements. It was designed to dig and retrieve ice and soil hidden under the surface. NASA’s future Mars mission (scheduled to be launched in 2011) named Curiosity, has one of the most sophisticated robotic arms. Fitted with its own Alpha particle X-ray spectrometer, this robotic arm is expected to sense valuable information on the wealth of different chemicals in the soil, rock and dust in Martian surface. This 2.3 meter long arm is able to do operations like drilling as well as more precise operations. NASA is currently developing a robotic arm, the Lunar Surface Manipulator System (LSMS) for its future lunar missions. NASA’s use of robotic arms varies with each mission and it has become an indispensable tool in space exploration. These arms are versatile; they can carry multiple instruments, take thousands of images from different angles, are has highly mobile and above all can accomplish virtually impossible missions.